Super Simple Cucumber Salad is perfect for the hot, hazy, lazy days of summer! I like recipes that don’t need much of my time, but sit and simmer, or marinate, or set on their own. 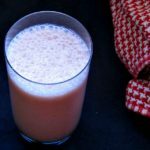 I particularly like them if those processes don’t need to be timed precisely – if I can make the recipe fit my life, rather than the other way around. So I share this cucumber salad, which, once you’ve sliced the cucumbers, does its own thing happily without much attention from you. I mean, I had eaten the occasional stray slice in a restaurant tossed salad, but I really discovered this wonderful vegetable as an adult. People grow it in hot climates, as it truly is cooling and refreshing. Cucumbers hold a lot of water, which makes them particularly wonderful on a hot day, and keeps salads juicy and moist. Now slice them thin, as evenly as you can. You can certainly do this with a knife, as I did. If you have a mandoline this may be the time to use it, to get even slices. If it has a rippled blade, use that… sure it’s pretty, but more to the point, it gives you more surface area to absorb the salt. You don’t need that, though – just a good sharp knife. Slice about an eighth of an inch thick. Now sprinkle the sliced cucumbers with salt. Ordinary table salt is just fine – much of it will be rinsed away, so expensive salt with minerals would be largely wasted. And a fine grind works better than coarser kosher salt or sea salt. Toss the slices well, to coat as well as you can with the salt. And you’ve done the hard part. Now it’s all about time, and that time can vary. First, I let it sit in the bowl roughly half an hour. If you happen to go in and out of the kitchen during that time, toss the slices a bit when you do – not a problem, if you don’t. And if you only have ten minutes for this step, or you leave it for an hour while you get the kids at school, that’s fine, too. 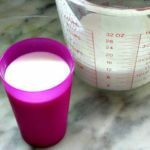 But after it sits a while, you’ll notice that liquid – brine – collects at the bottom of the bowl. I like to toss the cucumber slices with that brine, as it does a more thorough job of distributing the salt and coating all the slices. After you’ve tossed the slices in the brine, pour it all into a strainer. (And you can go straight to that step, if you have to.) You can see that the slices are shiny with brine. Now let that sit, draining the liquid off, for… as long as you need to, really. I like to give it at least an hour, this actually sat a couple of hours, you can let it rest overnight or all day while you’re at work (though then, refrigerate it. I left it on the counter, covered with a towel.) And even more liquid drains out of the cucumbers, while the salt soaks in. 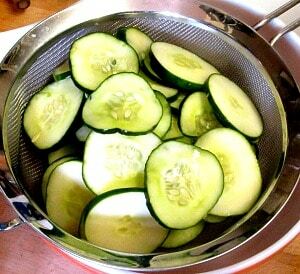 After the cucumbers drain as long as you want, rinse them well with cold water. You clean off the salt with this step, to avoid a too-salty flavor. Then let them dry, still in the strainer so all water drips out. Again, I stir the slices periodically so they are all exposed to air to dry. You can also blot gently with a towel, to speed up the process. Now, add just a splash of vinegar, and toss that well. I often use sharp, highly acidic vinegar in salad dressings, but I prefer a somewhat milder one, here. You can serve at once, or let it marinate, or both. You don’t need more than a tablespoon, if that much. 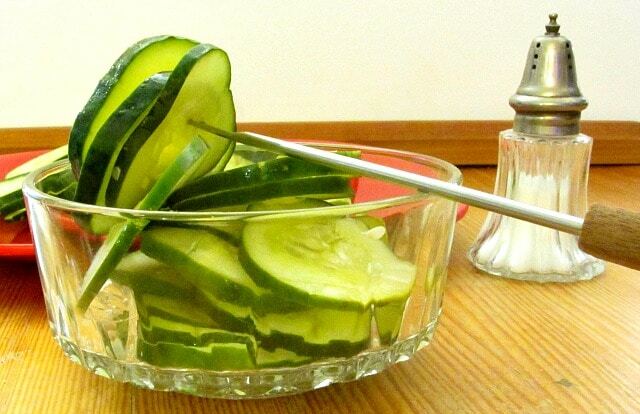 The cucumbers absorb the vinegar, so there is more flavor in each bite, instead of dripping off, as dressing so often does. I usually keep this for several days – the touch of vinegar helps keep it fresh. 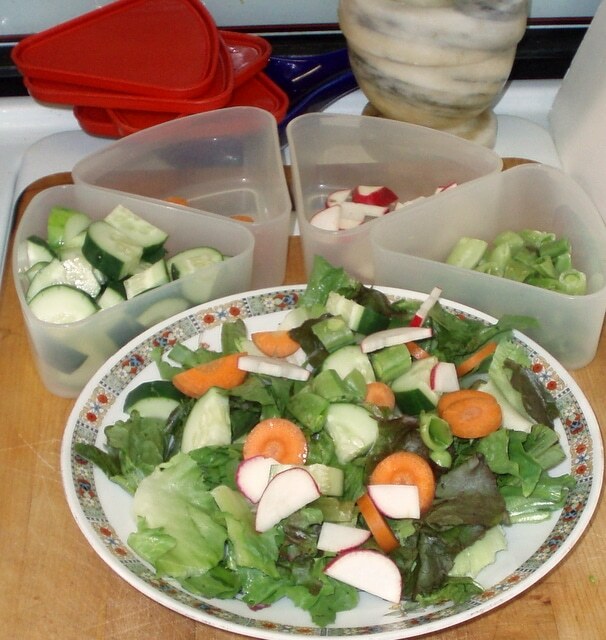 It’s fantastic for packed lunches, because sitting around doesn’t hurt it. And then, you can vary it, either when making it, or during the week so it doesn’t feel repetitive. 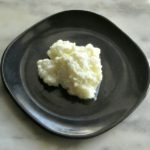 Add sour cream and dill for a classic Eastern European or Scandinavian salad – switch to yogurt for a Middle Eastern one. 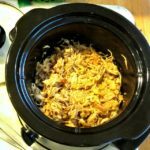 Use rice vinegar (which is a nice option anyway – it’s a pleasant mild vinegar,) a splash of soy sauce and maybe a drop or two of sesame oil for an Asian inspired one. Cider vinegar and mustard are inspired by German cooking – try that with your brats! 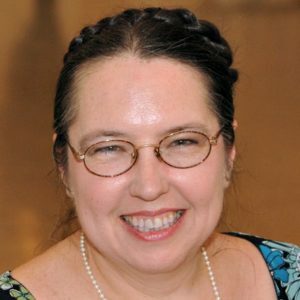 And I’m sure you can think of more… I’d love to hear other ideas in comments! 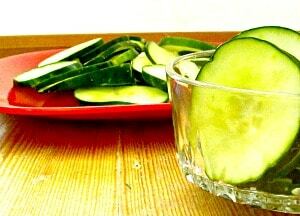 Super Simple Cucumber Salad is perfect for the hot, hazy, lazy days of summer! And it packs well for a picnic (or work, or school) lunch. 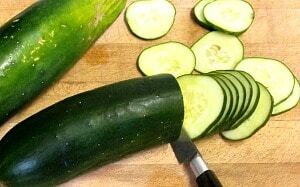 Wash the cucumbers, and slice about 1/8" thick, as evenly as you can. Toss the slices in a bowl with the salt. Let rest half an hour, stirring occasionally if convenient. Toss the slices with the brine that has accumulated at the bottom of the bowl. Then pour all into a strainer, and let drain an hour or more. 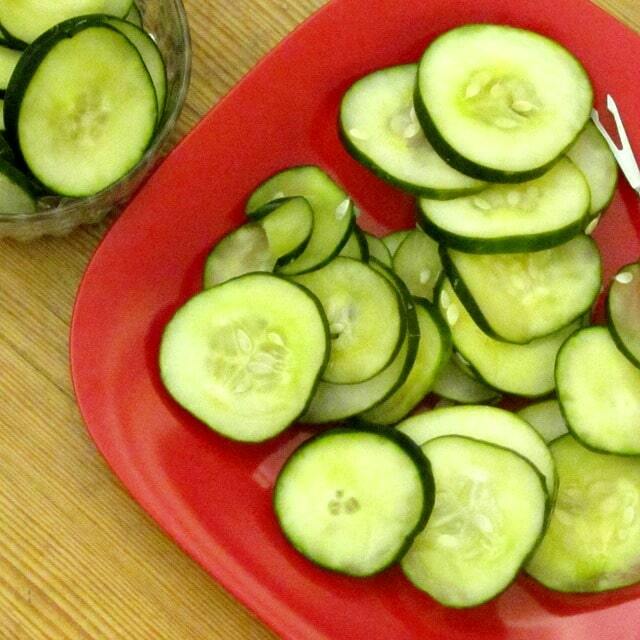 Rinse the cucumber slices well with cold water, to remove the salt, and dry. Toss with 2 t vinegar, adding another t if needed. Serve at once, or keep for several days - the flavor will develop as it rests and absorbs the vinegar. Yes - I really have been drawn to simple recipes this summer. And I realized that others might be, too! Thank you! 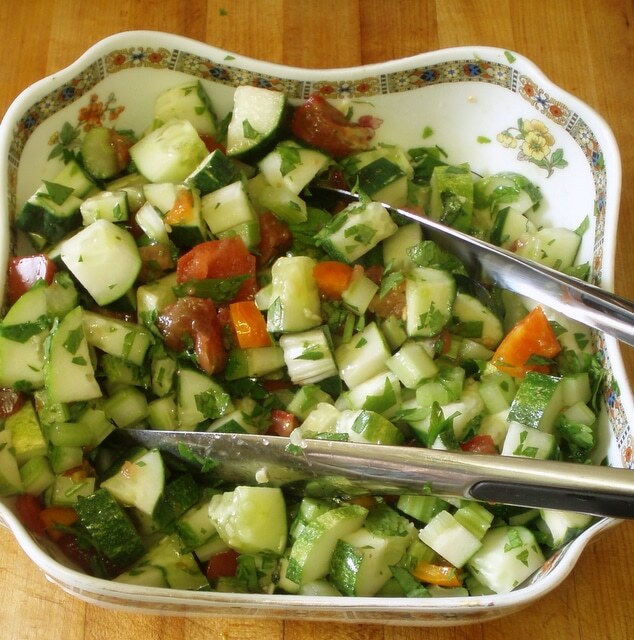 That is such a simple yet delicious way to make cucumber salad. Would try for sure. Thank you! I hope you enjoy it as much as we do. That's such a cool method for making a cucumber salad! I've never salted them to draw out the moisture, but you're right, they're loaded with water! Genius! It's surprising how much difference it makes to the flavor. The cucumber can absorb the vinegar, or other dressing. 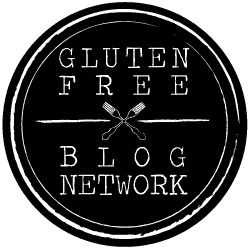 I love how simple and easy this looks, and I am so with you on making recipes fit into your life! This looks like a perfect side for summer. I am definitely going to give it a try before fall arrives!